Recent advances in ecommerce have accelerated the convergence of physical and digital sales channels. As a result, managing these sales channels separately has become obsolete. Even pure web players, seeking to increase their brand awareness, are opening show rooms, concept stores and pop-ups. Retail chains are also adopting the omnichannel approach - sharing information to satisfy consumers' cross-channel shopping habits. Despite all this, the pleasure in purchasing still comes from in-store experiences, so the human presence remains central to this omnichannel strategy. Over the past couple of years, stores have also undergone a transformation in how they deliver the customer experience. Mobile payments have eradicated the long and tedious process of queuing to pay for goods - they also mean the end of the cash register and the cashier. The end of the cashier also means the sales person is devoted solely to the customer experience. They can concentrate on advising the customer to enhance and personalise their experience. And they can use digital tools to help them. Tablets, for example, give new powers to sales staff, offering a 360° view of each customer. This phenomenon is phygitalisation - a physical presence enhanced with digital applications. 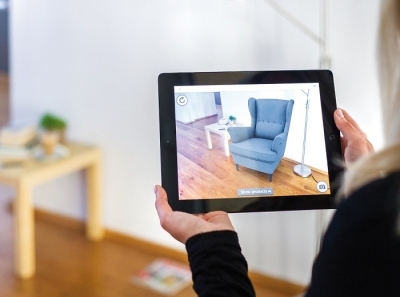 Now, technologies like geolocation or facial recognition are taking this a step further, automatically providing relevant offers and advice to shoppers as they move around a store. Alternatively, a salesperson can initiate the process through their conversations with a customer, based on these automated suggestions. Either way, phygitalization provides an intimate knowledge of customers and their buying preferences. It's this knowledge - this vast amount of data from online purchasing history and comments on social media, to previous interactions with the customer care team - that really offers an avenue to a new level of personalistion in the customer experience. As we're just at the start of the data revolution, you could say that the potential of phygitalization, in many ways, remains untapped. At the same time, customers themselves have become consumer experts; they now often trust their friends and other consumers' opinions more than the brand marketers. The result? Sales staff are no longer the only ones with 'knowledge' at their fingertips. So where does that leave the role of the sales assistant? They must be important otherwise consumers would not bother to make the trip to the store. I think the answer lies in context. The importance of a diagnosis, an assessment of what the shopper really needs, cannot be underestimated; consumers want reassurance, of course, but the contextual analysis is still the sales person's specialism. What gives them an added advantage in this area is that, in addition to all the customer data they can access, sales associates are also equipped with real-time communications tools. Using apps on their tablets, and via unified and collaborative communication solutions, they have access to other experts in their network(s). For example, a sales person who wants to create a unique experience for a hiking customer could initiate a chat thread to find out whether a specialised sales person is available in another store; or start a video conversation between the expert and the customer via the app, and share photos, maps, good deals, etc. On top of hyperpersonalisation, comes contextualisation. The sales person is not alone, and above all can respond in real time and ensure a continuous and coherent customer conversation, across several channels. To me, this is an enhanced version of the traditional omnichannel strategy, one in which all the company information is merged with information about the customer and it results in a hugely improved customer experience. I'm not alone in this analysis. According to consultancy firm Mordor, unified and collaborative communications serving both the customer experience and the sales person user experience are increasingly widespread. In France, for example, the firm predicts a 28.55% annual growth rate for Unified Communications as a Service (UCAAS) in the retail market between 2016 and 2022. With other European markets following a similar trend. The role of sales associates in-store is being re-invented. Stores are buzzy, full-of-life places, where sales staff offer an emotion-filled experience to their customers. And evidence backs this up: consumers remain attached to stores, as 98% still prefer the in-store experience.